Black Diamond real estate and homes for sale. 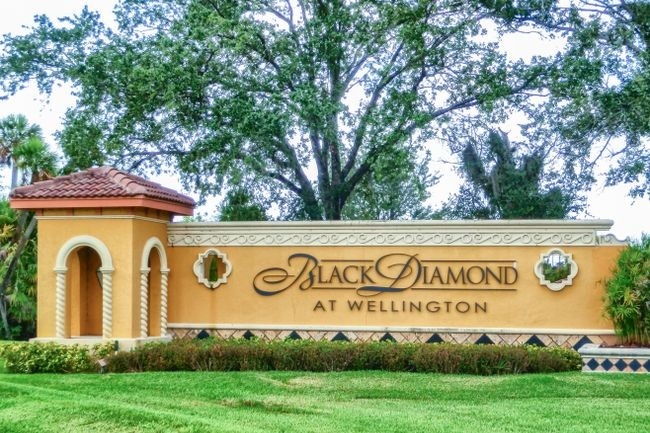 Black Diamond is a single family home located in Wellington on 441. You will notice the stunning fountains and waterways as you approach the gated community. Black Diamond was built by Centerline Homes and Shoma Homes. Centerline Homes had eight floor plans and allowed many customized options. Shoma Homes had six floor plans. You will find one and two story options. Search all homes for sale, just like an agent. Our free, one step registration allows you to bookmark your favorite houses, save search and receive emails as soon as new homes in Black Diamond come on the market. When viewing Black Diamond home for sale there are many options for buyers. Centerline and Shoma Homes offered a range of home sizes. Centerline built homes ranging in size from 2,333 to 4,993 square feet. While Shoma Homes had six floor plans and they range from 2,147 to 3,167 square feet under air. There were many upgrades offers by both builders allowing for a more interesting community. Many of the properties are on the lakes and waterways which maximize views. There is something for everyone with all of the resort style amenities in Black Diamond.